Fluid Power Certification Training: Which is Right for your Business? NTT Inc. - Fluid Power Certification Training: Which is Right for your Business? In the manufacturing industry, success is based on whether you can convince potential users that your company can provide superior products at a better price. You may have a solid reputation, excellent references, and experience, nevertheless, the only way to prove you are the best in the industry is to have a fluid power certification. Certifications can assure your customers that your employees are professionals who have the proper training to handle all of their service needs. Fluid power is a phrase used to describe the mechanisms of pneumatics and hydraulics. They both use a fluid (gas or liquid) for the transmission of power from one area to another. Pneumatics typically use compressed air while hydraulics use oil. While transmitting power, hydraulics or pneumatics first have to convert the power to a practical utility before transferring it to where it is needed. Power transmission comes in the form of fluid, mechanical, and electrical power. Even though pneumatics and hydraulics are typically considered to be competing technologies, they both have their places in power transmission. Fluid powered systems can produce linear motion much more efficiently than mechanical or electrical methods. In addition, they can transmit the equivalent amount of power as electrical or mechanical drives while using a much smaller space. Fluid powered systems do not need electrical power as they use hoses to transmit fluids at a pressure to produce power. This eliminates electrical shocks and other workplace hazards. So which Fluid Power Training and Certification does your company need? Any fluid power system depends on the following factors to achieve success: Installation, startup, design, and maintenance. A hose and tube assembly is an essential consideration for all of the aforementioned factors as well as operating personnel and system safety. Incorporate the ‘stamped’ acronym in the determination of the appropriate hose or tube to be used in the assembly procedure. 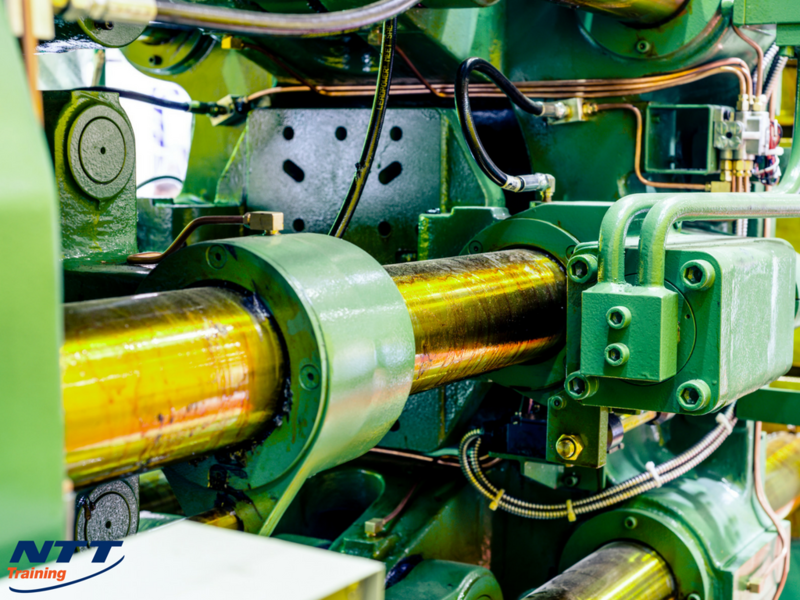 Many mechanics have been maimed or killed while using hydraulic systems due to a lack of proper training. Fluids being propagated at high pressures are extremely dangerous, especially oil injections. And because hydraulic systems use pressure as a core principle, there will be moments where fluid pressure will intensify, and if the operator is not well trained, an injury or fatality may occur. Proper training and knowledge on how to use hydraulic systems will ensure that the systems run smoothly for a long time. Hydraulic systems typically get a bad rap due to frequent leaks or components failing prematurely. Most of the time, however, it is due to a lack of proper knowledge on how to maintain these systems. Thus, training and certification are needed when one’s working with such dangerous equipment. Are Your Employees Ready to Train for a Fluid Power Certification? Standards and knowledge and hydraulic systems are very important. The safety aspect alone should be enough for you to send your personnel for fluid power training. Nevertheless, fluid power systems, under the right hands, are much more effective, efficient, safer, and cheaper than other power systems. This will help you manufacture superior products, using less time, and incurring much less in overheads. For further information about Fluid Power Certification Training, NTT Training can help! Visit NTT Training today to learn more.